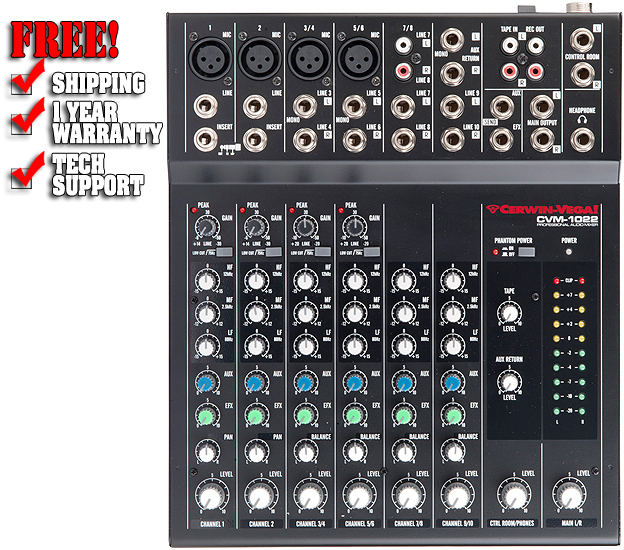 Built to support one or multiple users, the CVM-1022 10-Channel Professional Audio Mixer is compact to fit your work area and built-tough to travel from gig to gig. Featuring the same 3-band equalization and AUX & EFX bus flexibility as the larger models, this 10-channel mixer is everything you need to take control of your sound. Power Source: 100-120VAC or 220-240VAC, 50/60Hz.